These days, the reasons to quit smoking are displayed all over cigarette packets, but that doesn’t make it any easier to kick the habit. Those that have managed to overcome the addiction have had to be determined to see it through and everyone has a different motivation. If you really want to stop, it’s absolutely possible but you need to be clear and honest with yourself about your reasons. Focusing on your ‘why’ is important for long-term success. In this post we will explore some of the main reasons that drive people to quit to help inspire you to find yours. With a pack of 20 edging closer to £10, smoking is an expensive addiction. For many people, having to pay for cigarettes massively influences their lifestyle. It affects everything from the weekly food shop budget to where they go on holiday (or if they can go at all). If this sounds familiar, imagine how much more money you will have if you don’t have to buy cigarettes. Planning what to buy with your savings can be a great motivator. Smoking makes you look older; it directly affects your skin and causes more wrinkles, especially around the mouth. But age is more than skin deep. It increases the risk of blindness, Alzheimer’s and arthritis as well as making you vulnerable to cancers including those of the heart, mouth and even breast. The problem with these type of risks is that they can seem quite abstract. If they aren’t happening right now it can be easy to dismiss them and assume they will affect someone else. But it isn’t just about how long you live; it’s about the quality of your life right now. Stopping smoking can make you healthier, stronger and fitter. Think about how much more you’ll be able to do physically after quitting. It won’t take long for you to start feeling younger and healthier again. Nearly 85% of damaging cigarette smoke is invisible, so simply opening a window won’t help. Smoke on you and your clothes and in your home negatively affects those you love. Babies who have a smoking mother are more likely to experience problems such as colic and also have a higher risk of SIDS (Sudden Infant Death Syndrome). Of course, if you did become unwell or die because of a smoking associated illness, then this would also hurt those you love considerably. Think about how you want to be there to support the ones you love. You would never intentionally cause them any harm, so quitting now can be a great way to strengthen your relationships. 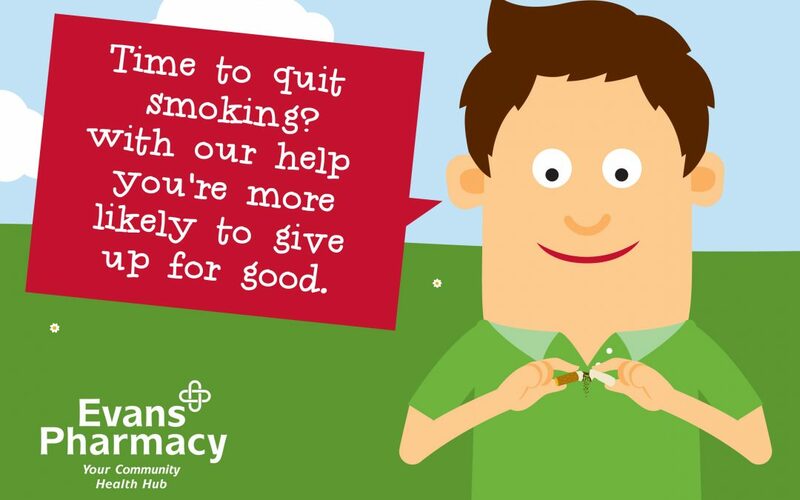 67% of smokers want to quit smoking but have so far struggled or not made an attempt to quit. If this is you and you are ready to accept help, our qualified pharmacists and technicians can increase your chances of success; you’re 4 times more likely to beat the addiction with our NHS Wales-funded 1-2-1 support, medicine, devices, and guidance. What reasons do you have to quit?